Submitted by rthomas on Mon, 05/04/2009 - 12:56. A literacy program by Scholastic and supported by Governors' Spouses to encourage children in their respective states to read every day, especially during the summer months. Research shows that regardless of ethnicity, socioeconomic level, or previous achievement, children who read over the summer months are less likely to suffer from the “Summer Slide” – the learning or reading losses that take place during the long break from school. What do Reading Ambassadors do? The Scholastic Summer Challenge invites U.S. Governors and Governors’ Spouses to serve as Reading Ambassadors to emphasize the importance of literacy for all children in their respective states. For the past eight years, Governors and Governors’ Spouses have come together as Reading Ambassadors of the Scholastic Summer Reading Challenge to send a powerful message to the students, educators, and parents in their states about the importance of reading over the summer months. 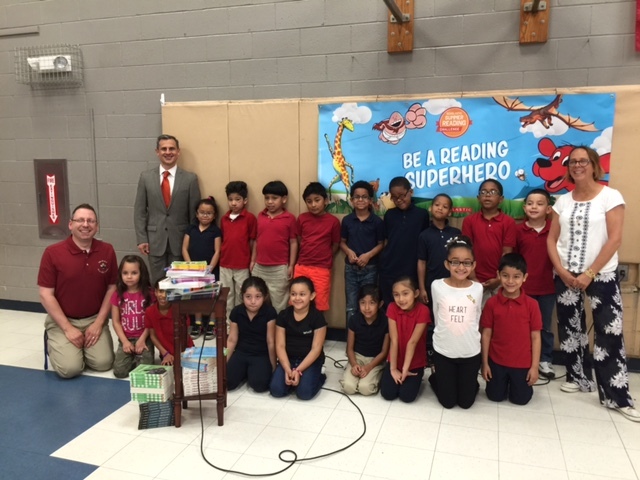 The Reading Ambassadors play an integral part in the Scholastic Summer Reading Challenge. By pledging to reinforce the importance of summer reading—and the majority committing to hold summer reading events at a local school or library in their state—the Reading Ambassadors help slow the “summer slide” – the learning losses that occur during the summer months when school is not in session. Encouraging students and families to read every day and read aloud together. Come back in June to see this year’s Reading Ambassadors! 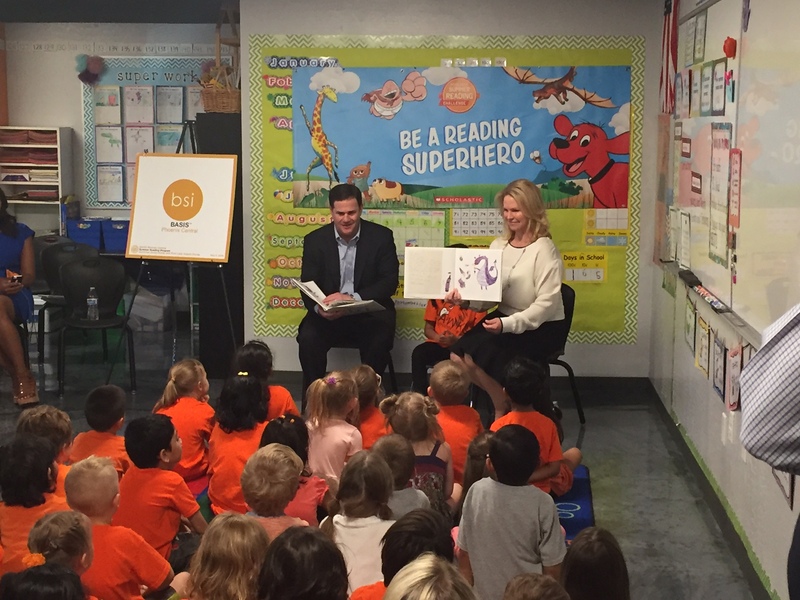 Governor Doug Ducey and First Lady Angela Ducey read to students at an elementary school in Phoenix, AZ. Rhode Island First Gentleman Andy Moffit visits students and hands out books at an elementary school in Central Falls, RI. Over the past eight summers, the participation of the Governors’ Spouses in the Scholastic Summer Reading Challenge has resulted in nearly 175,000 books being donated to children across the continental U.S. and its outlying territories. In the summer of 2017, 42 Governors’ Spouses, 3 Governors, and 1 Lt. Governor signed on as Reading Ambassadors, donating more than 23,000 books to schools nationwide. In 2017, 890,000 kids from all 50 states, Washington D.C., two U.S. territories and 14 countries registered and read more than 138 MILLION minutes!